A road trip to Mexico can be very exciting especially if you are in a group. You may have a wonderful car and everyone is super excited about the trip. But, don’t you think you are missing something even though you have checked all your bag and baggage? If you are still aren’t sure as to what is missing, and then let’s face it. If you are travelling to Mexico by your own car or a hired car then you must have vehicle insurance for it. Whether you take your baggage becomes secondary once you enter Mexico. There you need to have the insurance papers for the respective car and after that you are free to do anything. Many people make a big mistake of thinking that their general insurance for the car is the same as the Mexican insurance. This is not the case. Mexican law has it that you will need to have a separate auto insurance when you are in the city. You must be thinking that buying a new insurance would be quite time consuming and would take a lot of time. Well, in reality it doesn’t take that much time and it is not as expensive as the normal insurance that you have done for your car. 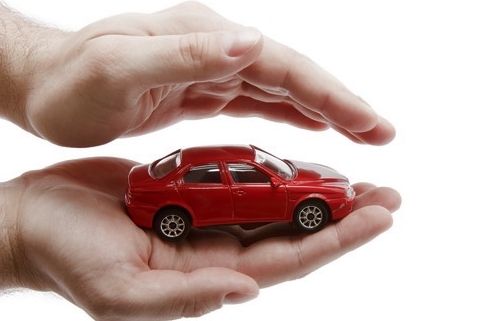 With the advent of internet it has become much easier to buy auto insurance online. There are numerous insurance companies that are willing to sell their insurances over the internet. Moreover, you will have to get a tourist auto insurance and not a general one. The entire procedure to get a tourist auto insurance is quite easy. Every website will have “Visit Here” option to explain all the terms and conditions. Before deciding on a particular insurance, study each and every line of the terms very carefully. These companies normally have a live chat option. If you have any doubt or query somewhere feel free to ask the agent immediately. Alternatively, you can talk to the agent directly and ask him/her to explain the conditions of the insurance in detail. They will be more than happy to explain everything. Since there are so many websites, it is quite natural to get confused about the most reliable one. One of the best ways to understand the reliability and authenticity of the company is by checking their license. Each company has a unique license number that proves the company’s authenticity. You may also want to look for the license number of “Surplus Lines Broker”. This is in fact a good sign and it means that the company is legal and would take every possible step to make your insurance coverage the best in the lot. Once you decide on the company, it will be time to get a quotation form. This will be readily available if you accept their terms and conditions. You can also go directly to the quotation page such as https://www.mexicaninsurance.com/Quote/GetQuote.aspx. As soon as the quotation and everything is agreed with, the processing will take place. This is totally in the hands of the company. A good company will hand over the papers in quick time.